Hundreds flocked to support people with a learning disability at our Summer Festival this year. 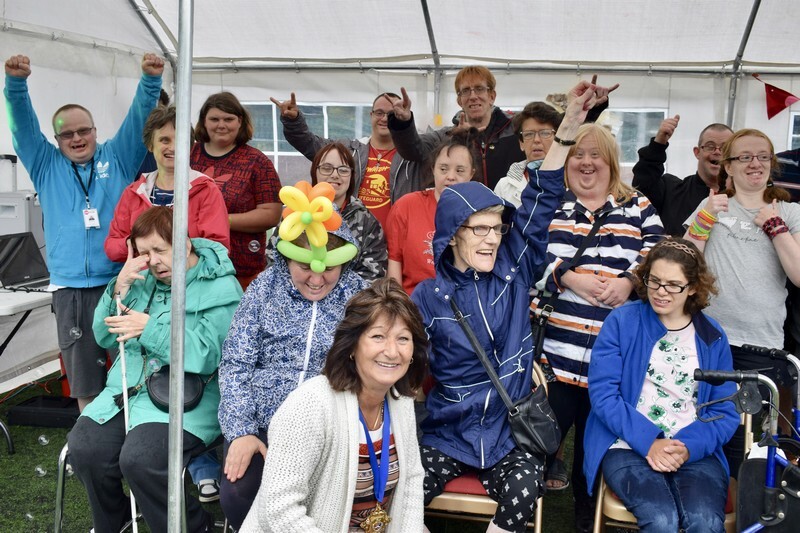 Despite the weather, smiling faces proved that everyone continued to have fun, take part in exciting activities and enjoy live music, regardless of age or ability. 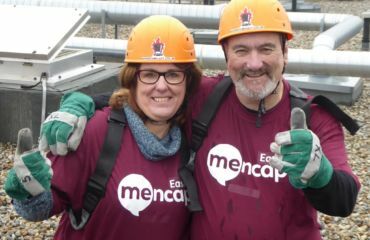 The one day event took place at Margate Football Club and offered an array of activities, including sports, live music and sensory sessions. The talented line up of local artists included; The Sunshine Ukes, Nancy Okai, Native Grass and The Shrinking Violets, who performed inside the club house for people to enjoy. For the more energetic there was golf, football, circus skills and cricket. These activities were supported by local sports providers Margate FC, England Golf and Kent Cricket. Gentler activities on the day included, Bits & Bytes with their very own robotic baby dinosaurs to cuddle; Holistic Therapist, Angela Davies gave out free hand massages to relax people. 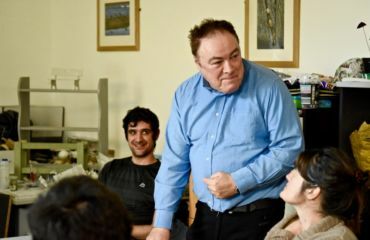 The Mayor of Margate, Julie Dellar, attended on the day, taking part in activities and speaking to the participants. We were fortunate to have the support of local services who dedicated their time and expertise free of charge, these included HM Coastguard, NHS Kent Community Health, Healthwatch, Thanet Volunteer Bureau, Kent Libraries, Learning Disability England, Ageless Thanet, One You, Action on Hearing Loss and Palm Deaf. Local businesses also stepped in to help with volunteers from, Pfizer and SAGA. They provided support on the day, greeting people and staffing sports activities. The event was a great success, regardless of the weather with over 250 people attending on the day, raising over £700 in total which will go towards our next event.